Are you on the hunt for a non-invasive anti-aging treatment that will help to smooth away fine lines and wrinkles? We have the answer, its Sculplla facial treatment! Sculplla H2 is the latest anti-aging treatment to hit the market giving “wrinkle-free” results without the need for any injectable fillers, needles, or downtime. Sculplla is a safe, non-injectable, topical treatment performed as a 60-minute facial that stimulates your skin to make its own collagen and repairing compounds. The treatment (which was originally developed in Korea and dubbed “The Korean Face Lifting without Surgery Mask”) creates firmer, tighter, plump, and smoother skin. So how does it do all of this as a topical treatment, you ask? Well, allow me to explain. 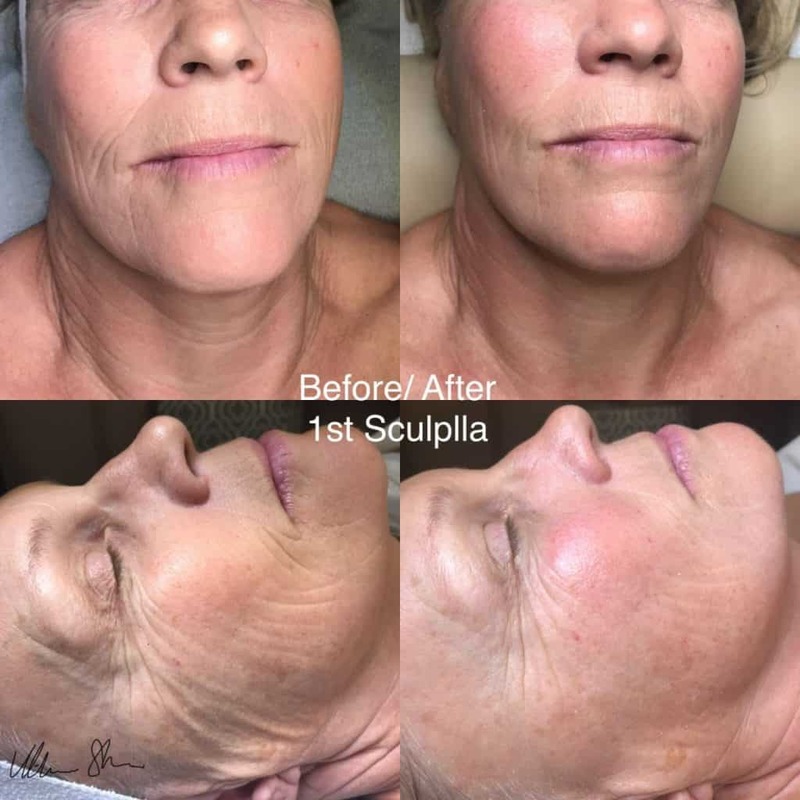 Sculplla is applied topically as a facial serum that drives an active ingredient called Poly L Lactic Acid (the same ingredient you’ll find in the dermal filler Sculptra) into the top layer of your skin to plump up wrinkles. The serum includes other anti-aging favorites like caffeine, niacinamide, and EFG peptides. Sculplla treatments can also incorporate a diffusion process to spread it deeper through the surface layers of the skin for more aggressive activation. The treatment starts with a light lactic peel so that the formula can get in direct contact with the skin and start working. Then the mask is applied. While it’s sending the nutrients into your skin and inspiring collagen production to happen, it’s also purifying and cleansing your skin, (a win-win). Topped off with red anti-aging Led light therapy for glowing radiant skin. Additional benefits of Sculplla are numerous. Unlike filler treatments that work because they inhibit natural functions of the muscles, the Sculplla treatment increases your skin’s own natural collagen production allowing you to actually treat anti-aging at the root source, or cellular level, rather than just doing damage control on aging signs that have already surfaced. Sculplla treatments slow down cellular level damage before it starts. Since this treatment stimulates your body’s own collagen production for long-term benefits, the results of this facial are not only instantly noticeable, but the effects also accumulate with each treatment. Plus, there’s no downtime, except for having to avoid showering or sweating for the following 12 hours. The effects of one Sculplla treatment can last for up to 5 weeks and a series of three treatments (done a week apart) will give results that can last for up to 5 months. This aqua facial is mostly machine based. Very relaxing. It utilizes resurfacing, mechanical extraction, infusion of nutrients and hydro-thermal technology to remove dead skin, purify and penetrate your skin with antioxidants, peptides, and hyaluronic acid. The thermal wand plumps and tone. Deluxe Facial $129 – 90 Minutes and includes up to 10 mins of extractions. Our Deluxe Facial is an excellent treatment for all skin types, even acne prone skin. It’s designed to balance, detoxify, lighten, tighten and hydrate skin. Also, it includes a hand massage, hot rocks. Finally, a serum and lift off mask is applied to address your specific skin issue is applied to complete the treatment. End results, Radiant Skin! 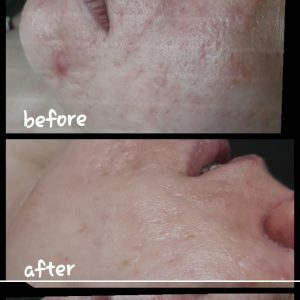 Purifying/Acne Facial $129 – 90 Minutes and includes up to 10 mins of extractions. We recommend this specialized purifying facial for those with acne-prone skin. It targets current blemishes and helps to prevent future breakouts. For optimal results, we recommend a Professional Maintenance Series consisting of a minimum four intensive treatments. Tailored to treat individual and specific concerns such as skin congestion and lack of radiance. This is an excellent service for monthly regimen to maintain healthy skin. This cleaning treatment with light extraction helps clear impurities from young skin. The treatment can exfoliate dead skin cells and extract minor blackheads. We also use a customized mask. Men’s Deep Pore Cleaning $129 – 90 Minutes and includes up to 10 mins of extractions. Because men’s skin is thicker and tends to produce more oil, this facial is designed to clarify the skin texture by the use of purifying products which help to balance oil production and clean up surface debris. This excellent service combines all the essential elements of good skin care: deep cleansing, exfoliating and steaming, therapeutic masks, massage and nourishing moisturization. All based on skin type. Men need healthy skin care too! Involves a machine that sprays antioxidant-serums for your skin types, and a stream of pure oxygen (95% purity) onto the skin. It heals, calms, improves blood flow, nourish and hydrate the skin immediately. It will make your skin silky smooth erasing fine lines and wrinkles and your face will be visible smoother, younger and radiant. And because pure oxygen is anti-bacterial it kills acne causing bacteria that can lead to breakouts, giving you the complexion you deserve. Extractions $45 for 10 min.